Event check in closes: 4:15pm sharp (you must have checked in prior to Race Brief). The Resort is located some 80km south of Darwin. Please allow ample travel time and double check you have everything you need eg: bike, shoes, helmet, runners, goggles, timing chip etc prior to setting out. As the resort uses bore water, please bring a supply of drinking water with you for pre event and bike leg. Bona fide visitors holding a current TA membership. A copy of membership receipt or scan of membership card must be forwarded to darwintriclub@gmail.com by midday Friday 26 April 2019. Please bring your TA membership card to registration or copy of membership receipt. New members (or visitors) who have not yet participated will be issued with the timing chip at check in. We recommend you arrive earlier than 4pm if you are a new member. 10 important triathlon rules to remember …. 1. Competitors must behave in a manner that is safe, fair and demonstrates good sports conduct before, during and after the race. Be careful, enjoy yourself and don’t give anyone else a hard time. 2. You must stay on the prescribed course and it is your responsibility to know the course (don’t rely on marshals or spectators to tell you during the race). Do not cut inside swim buoys, or cut corners on the ride or run. 3. Do not throw anything (goggles, sunglasses, etc) onto the course or to spectators – you must place all your gear with your bike in transition. 4. 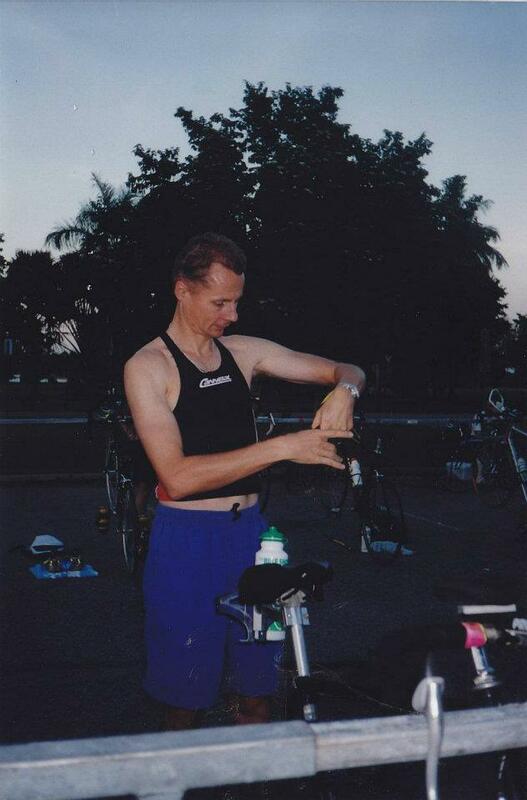 Your torso must be covered on both the cycle and run – either with swimmers, or a singlet or t-shirt. 5. Your helmet must be done up BEFORE you remove your bike from the rack and KEPT DONE UP until you replace your bike on the rack. You will be given a stop/start penalty if you do not obey this rule. Do not wear earphones or headsets. 6. Do not ride in the transition area – you must mount and dismount your bike at the marked zones/lines. 7. On the ride, keep to the LEFT, unless overtaking someone, and obey the road rules – they still apply even though you are in a race. Remember the road will be open to general traffic and you are sharing the road with other competitors and motorists. 8. Don’t get too close to the person in front on the bike – this is called drafting and is not allowed in triathlon. The draft zone is 7 metres (roughly four bike lengths) long starting for the front edge of your front wheel and 3 metres wide (1.5 metres either side). If you stay at least 4 bike lengths behind the competitor in front of you, you will correctly avoid the draft. Once you are closer 7 meters, you have 15 seconds to overtake the rider in front and you must be GAINING on them at all times during that 15 seconds. The correct way to overtake is to stay to the left, ride up behind the person in front, then when you are close enough, go around them (checking behind you first) and once you have passed them move back to the left of the road as soon as it is safe to do so). You must overtake to the outside (right) NOT on the inside (left). If you are overtaken, IMMEDIATELY drop back at least four bike lengths so you are out of the draft zone. You are deemed to be drafting if you speed up as soon as someone’s wheel has gone past yours to catch them. Drop back out of the draft zone first BEFORE you attempt to pass them. Technical officials may be out on the bike course and may warn you if you are too close, but are not obligated to provide a warning before a penalty is given. If you draft, you will hear a whistle, have the Technical official confirm your race number and you will be shown a yellow or red card and told to where to serve your penalty. Listen in at race briefings as the Race Referee will tell you where penalties are to be served for the event. Typically they can be served in transition with a Technical Official or at the Penalty Box. Remember, DRAFTING IS CHEATING. Your number will be recorded and two such penalties will result in your disqualification. 9. Your bike must be returned to exactly the same position you were racked in at the start. 10. You may not receive outside assistance of any kind from anyone. For help, see a race official. REMEMBER TO DRINK PLENTY OF FLUIDS AND WEAR SUNSCREEN AND A HAT.